Jim Kane began his insurance career in 1985 with General Accident Insurance as a marketing trainee. After three years on the insurance company side of the business, Jim accepted his first position as a broker with Louis P. Sigel & Sons as Personal Lines Manager. He would go on to serve in similar roles for regional and national brokerages including Posse Walsh Buckman Van Buren, CBIZ and PLI Brokerage. In 2005 with the acquisition of PLI by HUB International, Jim was named President of HUB Personal Insurance. In January 2014 Jim accepted the post of Senior Vice President of Personal Insurance at USI Holdings. USI is headquartered in Valhalla New York and is currently the third largest privately held personal insurance agency in the US. Jim is a graduate of the University of Notre Dame with a Bachelor of Arts degree in Government and International Relations. Jim served on the Board of the Notre Dame Club of Philadelphia for more than a decade including two years as Club President. He has remained an active member of the Alumni Association of Notre Dame. Jim has long been committed to education and thought leadership as part of career development. In addition to holding both the Certified Insurance Counselor and Certified Risk Management designation, he was an instructor for the Insurance Society of Philadelphia for a decade. Jim taught numerous courses including CPCU 2 Personal Insurance Risk Management Principles. He has published articles for The John Liner Letter, WORTH Magazine and Fox Connects. He has contributed his insurance expertise to articles published in The New York Times, The Wall Street Journal, Private Wealth Magazine, and industry white papers. He has also appeared as a speaker at various wealth management conferences including Institutional Investor, Institute for Private Investors, Family Office Exchange and Family Wealth Advisor. Jim helped to found the Southeast Family Office Forum held annually in Atlanta GA. He remains a member of the SE Family Office Forum Executive Committee. Jim received the 2014 Michael Brink Award from the Family Office Review for dedicated service to the Family Office Community. 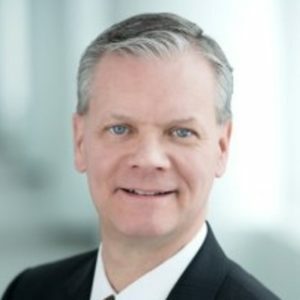 Jim is an active member of his community serving on the Board of Regina Dominican College Prep in Wilmette IL and the Private Risk Management Association. Jim and his family reside just outside his hometown of Philadelphia.